Digging deep into the Amazon Prime Torture Dungeon, I unearthed this infamous early ’70s cult classic. For a Bigfoot Movie enthusiast like myself, this was like catnip for my inner cat soul. So here it is, the Grandfather of all Bigfoot movies. 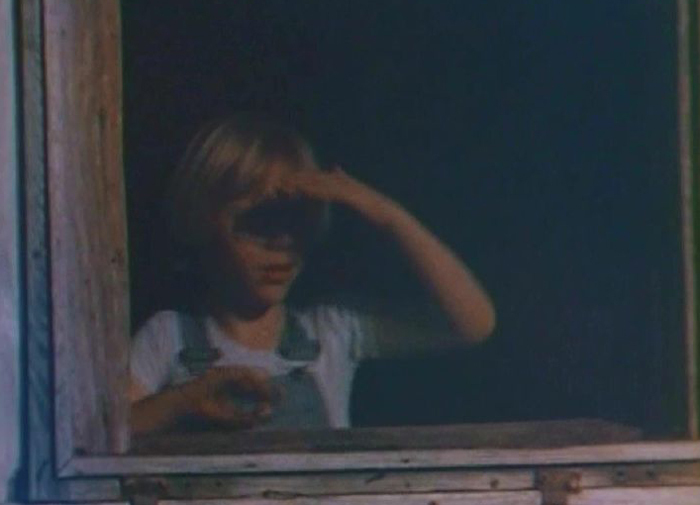 It’s also the precursor of The Blair Witch Project and Paranormal Activity. It’s a shaky camera-work, purported to be true documentary-style horror movie. And like both of those movies, it made $20 million on a $160,000 budget. Wow, that’s 1972 dollars we’re talking about. Let’s check this out, shall we? “Nancy, there’s somebody moving outside of this trailer.” In an otherwise scary movie, that would be a good line. But this fake documentary is never the least bit scary and stinks worse than a Skunk Ape. 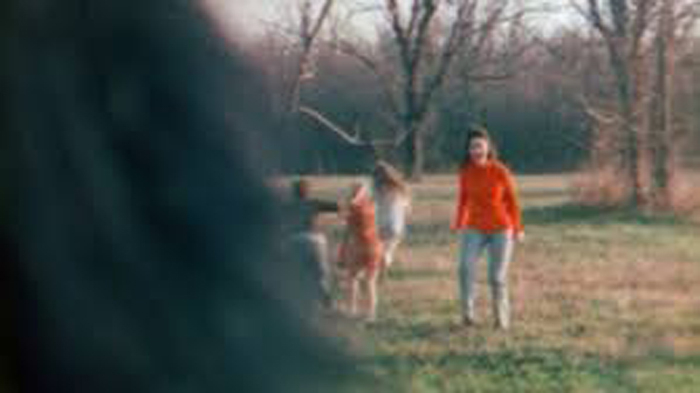 It allegedly features the real life people who allegedly saw the alleged Bigfoot-like creature in Fouke, Arkansas in the 1950s. Allegedly. What the movie really is, is a badly produced flim-flam featuring ponderous narration over hours of stock nature footage, bad music and even worse acting. There are a series of terrible re-enactments that are nearly identical in execution. 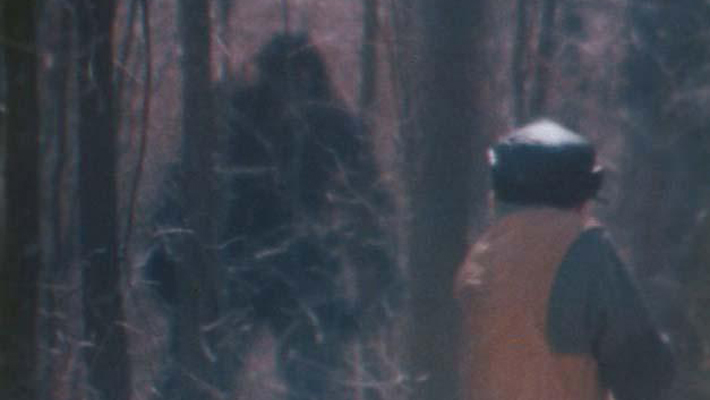 Some random person hears animal noises, goes to investigate and then a badly out of focus dude in a gorilla suit pops into frame, only to stand stock still while the people run away. Every single scene is identical. And the movie goes on and on, the narrator droning away about Bigfoot nonsense, and it is interminable. The biggest question I have is how this became such a monster hit and beloved film. It’s still revered by people who saw it as children. It made the rounds on TV in the early ’80s, but I don’t think I could ever get through the 20 minutes of nature footage and townspeople milling about to ever get to the good stuff. I guess people want to believe in a Bigfoot type creature with three toes, and just went with it. 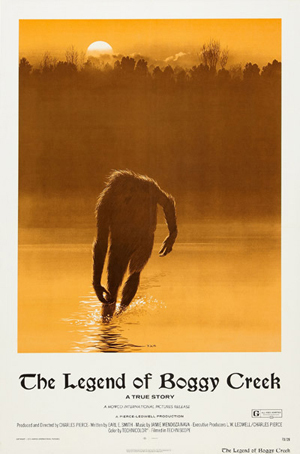 The Fouke Monster story took on a life of its own after the movie, inspiring many books and documentaries about this incident. And hey, it worked again with The Blair Witch Project. So there’s something to this approach to making a movie. I’m just saying I’m not a fan of fake documentaries purporting to be real. 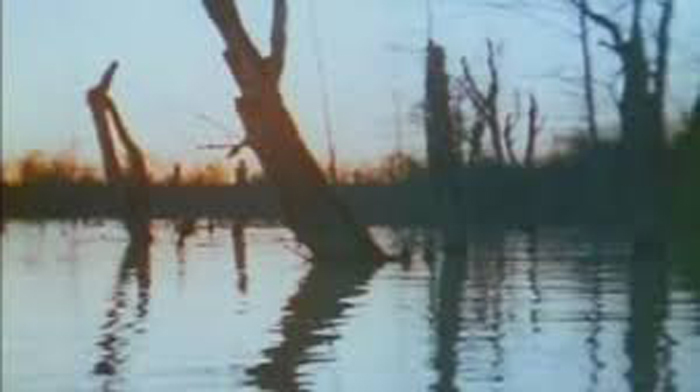 I mean, there have been dozens of Fouke Monster sightings over the years, but wouldn’t you know, they stopped happening after phone cameras became a thing. So it’s safe to say, if you didn’t see it at a drive-in when you were ten in 1972, you are not going to get the movie. I’m one of those people. All I can do is judge it based on its merits, which are meager. The funniest scene has three girls in old-fashioned nightgowns who are harassed by an off-screen growling noise. They scream and run around hysterically and fumble bullets trying to load a rifle. Then it gets quiet. Then it gets noisy again and they all start screaming again. It’s also amusing how everybody who encounters the Fouke Monster is armed, but nobody can shoot the damn thing. Funny how it’s supposed to be a bloodthirsty monster but all it does is eat a dog, allegedly, “scare a cat to death” and growl at people in the night. Ooh, spooky. The second funniest scene is where some random people encounter the monster and run away for the umpteenth time, and then the camera makes a totally unmotivated slow zoom in on a tree. You know I’m desperately looking for anything to keep my interest when camera movements become funny. I swear that it is one of the worst songs I’ve ever heard and makes me want to run fleeing in terror outside to hopefully get eaten by a Bigfoot. The movie culminates with one particular boring family, the Fords, who get harassed by Bigfoot in their home. It’s a 20 minute siege by a POV camera in the woods and a slow moving shadow of a Bigfoot that creeps towards the house, then runs away again. Then the people run out with rifles, fire into the darkness and see nothing. Then they repeat this whole process three more times. Finally a dude is attacked by a shaky hand-held camera and a Halloween store rubber werewolf hand, then he gets away totally unharmed but “in shock” and he crashes through the balsa wood door. You’re telling me a guy can run through the door like it’s tissue paper, but the Bigfoot who’s been actively trying to get into the house for weeks can’t actually get inside? Totally bogus. Eegads, despite its reputation as a scary movie, this is terrible. 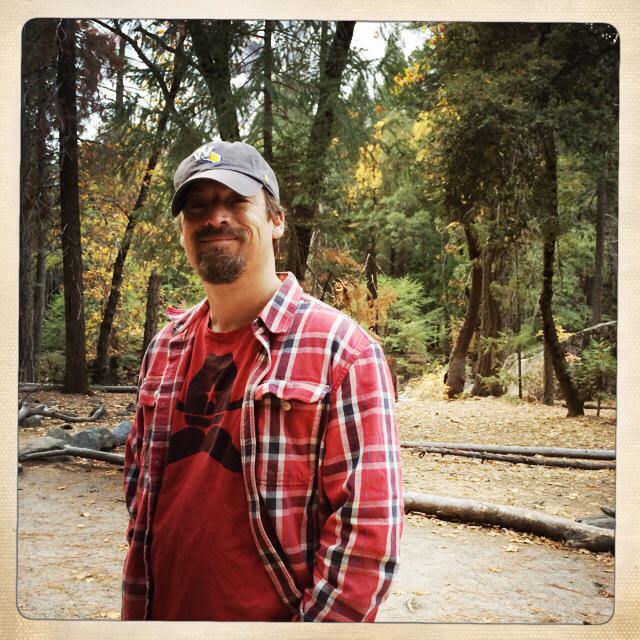 Imagine all of the worst elements of one of those horrible Finding Bigfoot shows, where you know with absolute certainty that they will never, EVER find Bigfoot. But the movie insists on trying to tease us into believing that someone will find Bigfoot. You lie, movie. If you are a Bigfoot Movie completist, or a huge fan of POV shots in the woods and slow-moving shadows on the walls, then this is the movie for you. “What the Creature was after inside the Ford’s house was perhaps the biggest mystery of all,” opines the narrator at the end. No, the biggest mystery is how a horribly shot, amateurish piece of crap like this could fool anybody into thinking this was a true story, and then turn it into a huge box office hit.